A new website for a new season ! In few days, our bed and breakfast will be open for the 2019 season ( from 8 of april until end of october) and our website has been relooked : more pictures, new graphic … we hope you’ll like this new version. 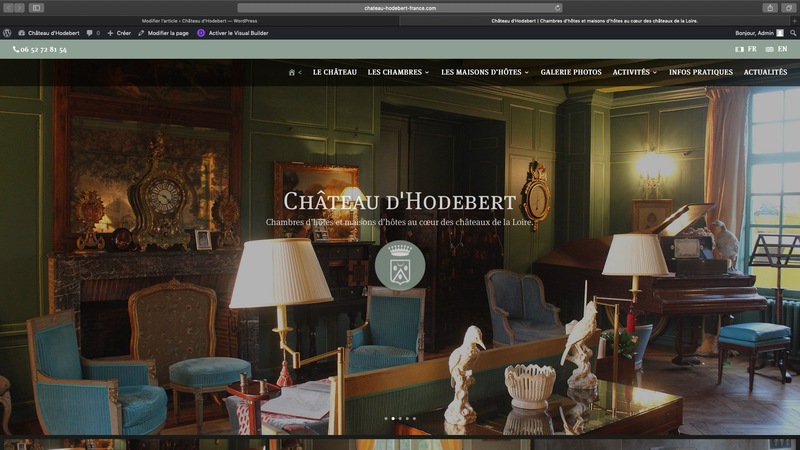 To help us in the renovation of an historic place like Hodebert and to have the best price, we encourage you to book directly on our website. Our two houses : « La maison de la grille » and the « Écuries d’Hodebert » are bookable all the year for two days minimum. You can write us or call us to book one of them. We are so happy to welcome you soon in Hodebert, our family house.